Home CFCnet North Stand Jose’s FA Cup? 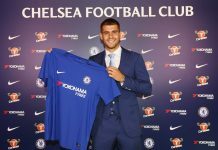 Jose Mourinho’s much heralded return to Chelsea in the summer reignited the love affair between the English public and the maverick Portuguese manager. Stamford Bridge is his spiritual home and the mutual affection between him and the fans is extraordinary. Thus far Mourinho’s return has been smooth sailing; they are in the hunt for the Premier League title, the FA Cup and the Champions League. So, can Mourinho mark his return with a trophy? The return of Mourinho has seen the return of consistency to Chelsea. In the Premier League they sit third but are just two points behind leaders Arsenal. 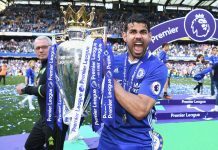 Bookmakers Titan Bet have Chelsea as their second favourites to win the league in the best Premier League online betting odds. This is something that Chelsea can easily achieve. Mourinho’s record at Stamford Bridge is frightening; he has never lost a league game there. But perhaps more importantly for Chelsea fans is the fact that Mourinho has brought back that dogged grit that his side lost when he left. With Mourinho at the helm Chelsea are able to win games despite not playing well. This is evident from their recent victories over Hull and Crystal Palace, while their 3-1 dismantling of Manchester United truly highlighted their title credentials. Mourinho loves a fight, so expect him to fight until the very last day of the season for the title. With the strength in depth the Chelsea squad possess, and the fact that Mourinho has the bit between his teeth, it isn’t too hard to imagine the title sitting in Chelsea’s trophy room come May. Just as England fans are itching to win the World Cup, despite not exactly being favourites in the World Cup 2014 odds, Mourinho will be absolutely itching to win the Champions League with Chelsea. 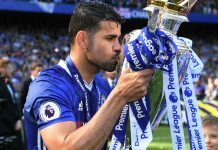 He has won it before with Porto and Inter Milan but never with his beloved Chelsea. The Blues have been given a favourable tie against Turkish side Galatasaray, a clash which will see Didier Drogba return to the Bridge. It is a clash that you would expect Chelsea to win. The two-leg knock-out format of the Champions League suits Mourinho down to a tee. His tactical nous is perfect for the two leg format. In his last four Champions League campaigns he has taken Real Madrid to the semi-final three times as well as winning the competition with Inter Milan. 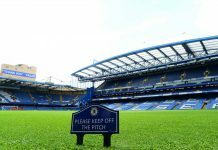 Titan Bet have Chelsea as fourth favourites for the tournament, and although this will be the toughest task Chelsea face, they have more than a feasible chance of success. As for the FA Cup, it was the last piece of silverware Mourinho won at Chelsea and Titan Bet have them as second favourites for success. 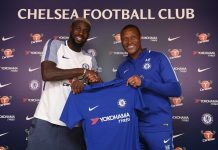 The strength in depth that Chelsea have will pay dividends in this competition as Mourinho will be able to rotate his squad on a whim, something that Everton, Arsenal and Liverpool will not be able to do. Out of all the competitions Chelsea are in, the FA Cup is the most viable competition for them to win. Jose Mourinho is the self-christened “Special One” and he will christen his return to Chelsea with a trophy, maybe two. With the squad he possesses and the ambition ingrained deep inside him, anything but a trophy will be considered a failure by Mourinho. Previous articleCan Chelsea challenge on both fronts? Next articleChelsea vs Stoke: Can the Blues continue their winning streak?